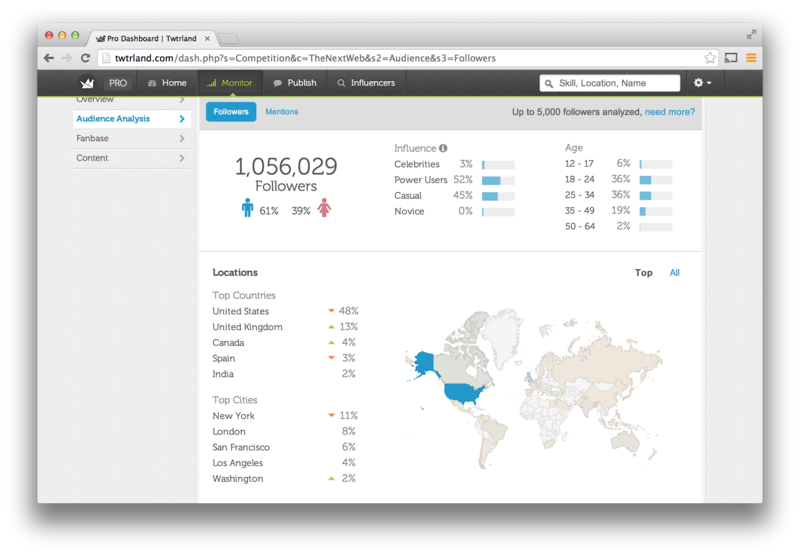 Social analytics platform Twtrland has been providing fancy stats about individuals for over a year, and today the Israeli startup behind it is launching a business-focused product called, unsurprisingly, Twtrland for Business. The new service provides the ability to track accounts on Twitter, Facebook and Instagram, monitoring KPIs like brand impressions and the number of new followers against rivals’ performance. It can break down your social audience by age, location, interests and attributes such as whether they’re a celebrity, a power user, casual user or social media novice. Twtrland for Business also suggests the best time of day to tweet about particular topics or particular audiences, and allows you to identify key influencers in your audience based on filters such as their location or skill set. If this all sounds kind of familiar, it’s because there are plenty of other products on the market that offer similar services, not least The Next Web’s own Twitter Counter. 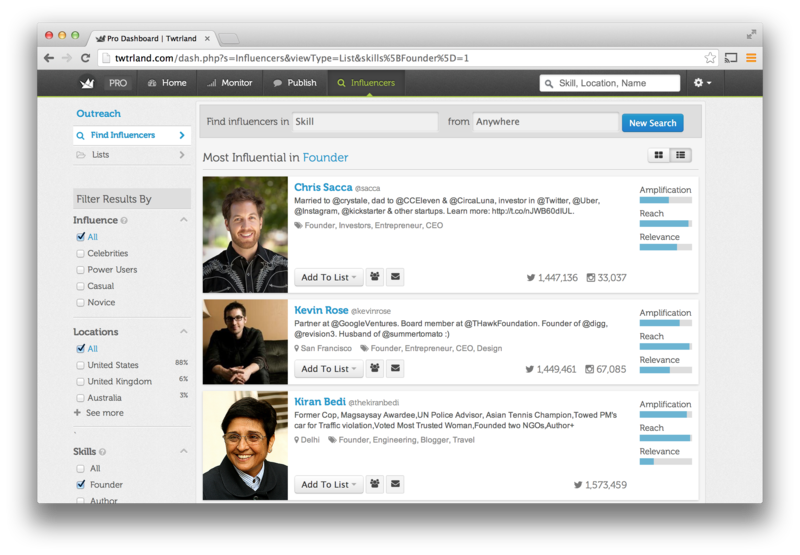 However, our Community Director Matt Navarra has tried his fair share of such tools and is impressed by Twtrland’s offering. “I think it has a nice balance between having more than just a few tools or features versus being rammed full of options and settings you get lost in,” Matt tells me. He’s particularly impressed by the filters and the ways that you can segment the data to get useful insights into your social audience. Indeed, the startup’s social profiles (here’s mine) are something special and businesses should be able to find value from them as part of their social strategy. 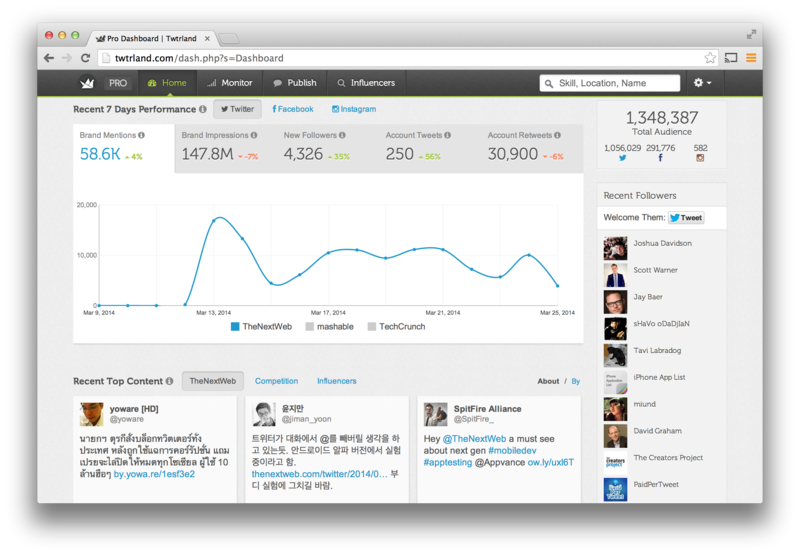 Twtrland for Business is available now, priced at $99.99 per month.